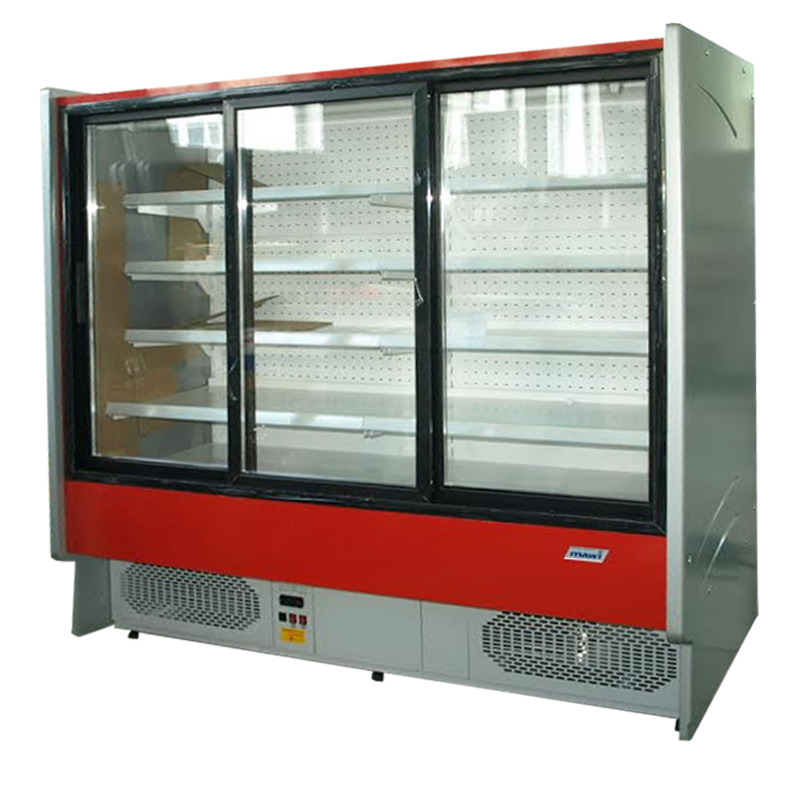 The buildt-in refrigerated wall cabinet is equipped with dynamic cooling, automatic defrost, sliding glass doors, MDF sides, 4 shelves with price tags and adjustable levelling legs. Colour of the basis: grey. Colour of the top troffer fixture with lighting is available in red, green, blue, yellow, white – it’s option. Colour of the device basis is available in the given RAL colours (pictures) - it's option.